When seconds count, Children’s has a pediatric-trained team to transport critically ill infants, children and adolescents by ambulance or helicopter to our hospitals for treatment. Children’s Healthcare of Atlanta Critical Care Transport has been in operation since the mid-1990s. During this time, our team has evolved into a busy pediatric and neonatal transport service that completes more than about 5,000 transports each year. 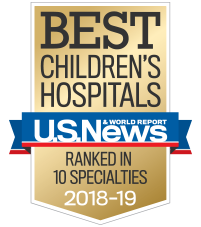 This team offers ground support with one specialty Neonatal Intensive Care Unit (NICU) team, as well as four Medical Intensive Care Unit (MICU) trucks that provide neonatal and pediatric specialty care services 24 hours a day, seven days a week. Air support is provided by Children’s One, which has the capability to complete scene calls, in addition to interfacility transports. All vehicles are owned by Children’s Healthcare of Atlanta with the ground vehicles maintained and drivers provided by Puckett EMS. Metro Aviation holds the FAA certificate and supplies the pilots and maintenance for the aircraft. The teams staffing these vehicles include critical care nurses, respiratory care professionals, critical care paramedics and emergency medical technicians (EMTs). Patients, who have ranged in age from less than 24 weeks gestation to 21 years old, are provided safe, critical care transport services throughout Georgia, as well as neighboring states, as needed. The Children’s transport team provides care similar to our Pediatric Intensive Care Unit (PICU) by functioning under extensive patient care guidelines and being able to consult on-line medical control advice from the attending at a receiving pediatric facility. This expertise, combined with specialty equipment, gases and medicines needed for even the smallest of patients, allows Children’s Critical Care Transport to provide quality critical care.